Yikes! It's week 42 of my personal photography project, which means that there's only 10 weeks left in the year! Where has the time gone? This week's theme is "photographer's choice" which was fun because it has really been this year where I feel like I've found my niche with my studio work and that's simple, clean images with neutral backgrounds that highlight the subject in an elegant or charming way. It's when I'm asked to select my favorite images that I return to this style over and over again and this exercise was no different. Dark or light, cats or dogs, I love how the subject exists and actually owns the negative space around it. Less text this week and more pretty pictures, enjoy! 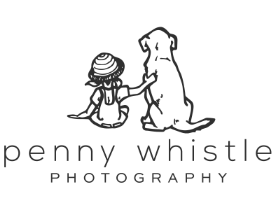 Let's see what Lynda Mowat from Heartstrings Photography, based in Hamilton, New Zealand chose to spotlight this week and then continue clicking on the link at the bottom of each post for an around the world tour of choice pet photography! Rachel - Wow, the clarity of lighting and color is fabulous! Jessica - I love how simple these are yet how much personality you captured in each shot! Also, thanks for the reminder that 2018 only has 10 weeks left! Yikes! Kim Hollis - Gorgeous work. I love all of these!